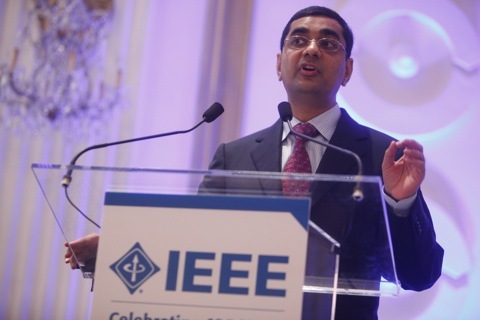 IEEE is a great organization, and I had great honor and privilege to help kick-off IEEE’s 125th Anniversary celebration in New York on March 10, 2009. I had the opportunity to meet with countless IEEE dignitaries including IEEE’s outgoing President & CEO Dr. Lewis M. Terman. The panel was moderated by Steve Lohr of New York Times and by Susan Hassler who is Editor-in-chief of IEEE Spectrum. Here is IEEE’s newswire and related story in Scientific American.